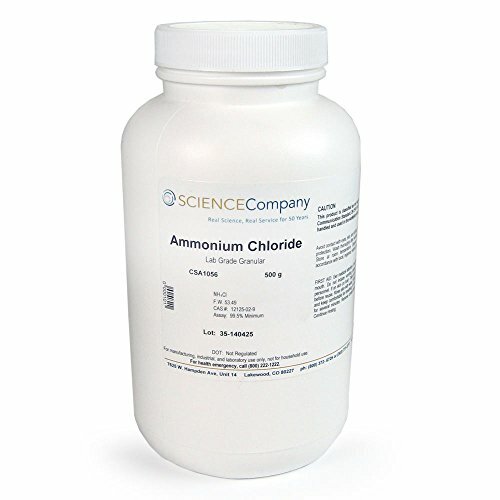 Ammonium Chloride (AKA Sal Ammoniac) is often used in metal patina formulas to color copper, brass and bronze. Also in the recovery process of platinum metal (Pt) from catalytic converters. It is combined with water and used as a wash solution to precipitate scrap Pt dissolved in an aqua regia solution. It is a clear white, granular, water-soluble crystalline salt of ammonia.